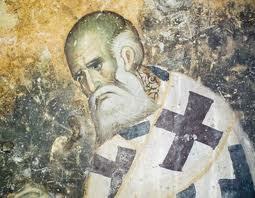 Athanasius (c.297-373), my favorite early church father, fought heretics with all of his soul. I am brought to tears reading his glorious writings. Please indulge with me each Tuesday as we sit at the feet of our forefather in the faith – a warrior for Christ who relentlessly pursued truth in all the churches. I’ve been posting quotes from his magnum opus “On the Incarnation of the Word” each Tuesday so far. We found someone who says Jesus didn’t truly rise from the dead with His same body that He died on this cross. His name is Marcus Borg, and he seems to be a popular, intelligent theologian. Let me see what he said about the matter, kids. Because of the common meaning of “physical/bodily” in modern English, I do not think the resurrection of Jesus means this. Physical/ bodily means fleshly, molecular, protoplasmic, corpuscular existence. But the risen Jesus is not in this sense a physical/bodily reality. The resurrection stories in the New Testament make that clear. The risen Jesus appears in a locked room (John 20). He journeys with two of his followers for a couple of hours and is not recognized – and when he is recognized, he vanishes (Luke 24). He appears in both Jerusalem (Luke and John) and Galilee (Matthew and John). He appears to Stephen in his dying moments (Acts 7). He appears to Paul in or near Damascus as a brilliant light (Acts 9). He appears to the author of Revelation on an island off the coast of Turkey in the late 90s of the first century (Rev. 1). These texts are not about Jesus being restored to his previous life as a physical being. If such events happen, they are resuscitations: resuscitated persons resume the finite physical life they had before, and will die again someday. Whatever affirming the resurrection of Jesus means, it does not mean this. Moreover, what would it mean to say that the risen Jesus is a physical/bodily reality? That he continues to be a molecular, protoplasmic, corpuscular being existing somewhere? Does that make any sense? How can the risen and living Jesus be all around us and with us, present everywhere, if he is bodily and physical? So Uncle Ath, what do you say to Dr. Borg? Fitting indeed, then, and wholly consonant was the death on the cross for us; and we can see how reasonable it was, and why it is that the salvation of the world could be accomplished in no other way. Even on the cross He did not hide Himself from sight; rather, He made all creation witness to the presence of its Maker. Then, having once let it be seen that it was truly dead, He did not allow that temple of His body to linger long, but forthwith on the third day raised it up, impassable and incorruptible, the pledge and token of His victory. It was, of course, within His power thus to have raised His body and displayed it as alive directly after death. But the all-wise Savior did not do this, lest some should deny that it had really or completely died. Besides this, had the interval between His death and resurrection been but two days, the glory of His incorruption might not have appeared. He waited one whole day to show that His body was really dead, and then on the third day showed it incorruptible to all. The interval was no longer, lest people should have forgotten about it and grown doubtful whether it were in truth the same body. No, while the affair was still ringing in their ears and their eyes were still straining and their minds in turmoil, and while those who had put Him to death were still on the spot and themselves witnessing to the fact of it, the Son of God after three days showed His once dead body immortal and incorruptible; and it was evident to all that it was from no natural weakness that the body which the Word indwelt had died, but in order that in it by the Savior’s power death might be done away. A very strong proof of this destruction of death and its conquest by the cross is supplied by a present fact, namely this. All the disciples of Christ despise death; they take the offensive against it and, instead of fearing it, by the sign of the cross and by faith in Christ trample on it as on something dead. Before the divine sojourn of the Savior, even the holiest of men were afraid of death, and mourned the dead as those who perish. But now that the Savior has raised His body, death is no longer terrible, but all those who believe in Christ tread it underfoot as nothing, and prefer to die rather than to deny their faith in Christ, knowing full well that when they die they do not perish, but live indeed, and become incorruptible through the resurrection. Who are you going to side with? A 20th century speculation artist who lives in posh academic comfort, or a fourth-century, hardscrabble father of the faith who could see back in history just a few generations to the people who actually knew and walked with, and died in witness to the bodily, risen Jesus Christ? I hear Marcus Borg is a perfect gentleman, and I know he is very intelligent. Yet here is an example of one having become wise in his own eyes – yet he has become a fool – missing the most plain reality in human history: Jesus rose bodily from the dead. Thanks for those gracious words, Uncle Athanasius. For in [the gospel] the righteousness of God is revealed from faith to faith; as it is written, “The just shall live by faith” (NKJV). This is the true meaning of Christianity, that we are justified by faith in Christ, not by the works of the Law. 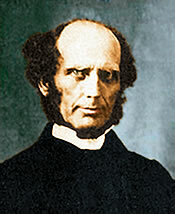 This is the highest article of our faith, and if one should abandon it as the Jews do or pervert it like the papists, the church cannot stand nor can God maintain His glory, which consists in this, that He might be merciful and that He desires to pardon sins for His Son’s sake and to save. If this doctrine of justification is lost, the whole Christian doctrine is lost. So let us defend to our deaths the doctrine of God’s justification of sinners, based solely on the merits of Christ’s life, penal substitutionary death, and resurrection for our justification. By grace alone, through faith alone, in Christ alone, to the glory of God alone, revealed in Scripture alone. That is our Reformation heritage. Martin Luther quoted by Robert D. Preus in Luther and the Doctrine of Justification, Concordia Theological Quarterly, vol. 48, num. 1 (Fort Wayne, IN: Concordia Theological Seminary, 1984), 1.